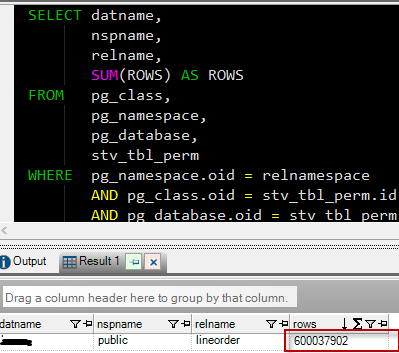 Most of the time we need to know the number of records affected by insert or delete query in current session. Popular DBMS like SQL Server or MySQL offers built in mechanism to achieve this. For example, SQL Server has @@ROWCOUNT global variable and MySQL gets ROW_COUNT function that helps getting number of records affected in last query executed in current session. Redshift does not offer such built-in function to have this data. But by querying the system tables, we can get this information easily. STV_SESSIONS: This table contains the active user sessions for Amazon Redshift. 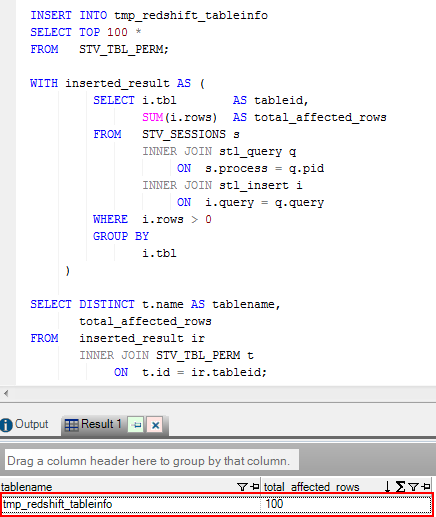 STL_QUERY: the table only contain information about queries. STL_INSERT: Contains insert execution steps for INSERT queries. Open a new query editor and execute the scripts together like the image below. 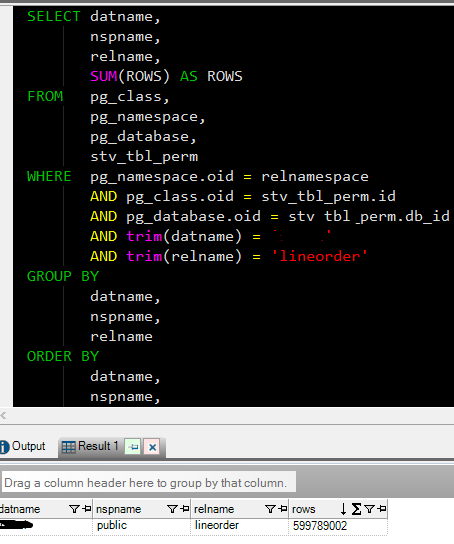 The above scripts insert 100 rows from STV_TBL_PERM system table to the newly created tmp_redshift_tableinfo table. Afterwards, our query is getting number of records affected in last query executed in current session. Also, we can get this information for delete query by simply using STL_DELETE table in the above query instead of STL_INSERT table. Amazon Redshift suggests to define primary key or foreign key constraint wherever applicable. But they are information only. Redshift does not enforce these constraints. In other words, a column with primary key accepts duplicate values as well as a foreign key column also allows such a value that does not exists in the referenced table. So why does Redshift consider defining primary or foreign key as their best practice list? Because query optimizer uses them to choose the most suitable execution plan. But you need to be very careful while defining these constraint in your table. Let us see why with some real-life example. As spoke earlier, it is fine to have a primary key in a Redshift table. But keep in mind it is your responsibility to make sure the column’s values are unique. Otherwise, you are likely to get wrong query result. An example gives you more insight. Then executed the following script to insert some records in to it. And execute the select statement once again. We are getting the expected result now! So, you got an idea of what you need to think before defining primary key. And of course, always remember Redhsift developer guide’s following comments. I my next post I will figure out the same thing for foreign key. Until then keep playing!!! Who wants to delete rows after inserting them into tables? But to comply with business need, we delete unnecessary records from tables. After deleting large number of rows from a table, usually we like to see disk space consumed by these rows are released automatically. Popular RDBMS like SQL Server usually marks the rows affected by an immediate Delete command as Ghost records rather physically deleting them from disk at once. Afterwards, using an asynchronous internal process, database engine removes these Ghost records physically from disk. But Amazon-Redshift database does not offer such facility.You need to do it by yourself. In this post you will come to know what you must need to do after deleting a large number of rows from a Redshift Table. 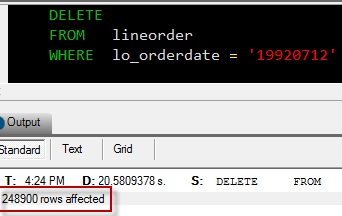 The issue you may face after deleting a large number of rows from a Redshift Table. I have populated a table named “lineorder” with AWS sample records. The table contains around 16 million of rows. Now let us use the following catalog table query to know the total records of the table. 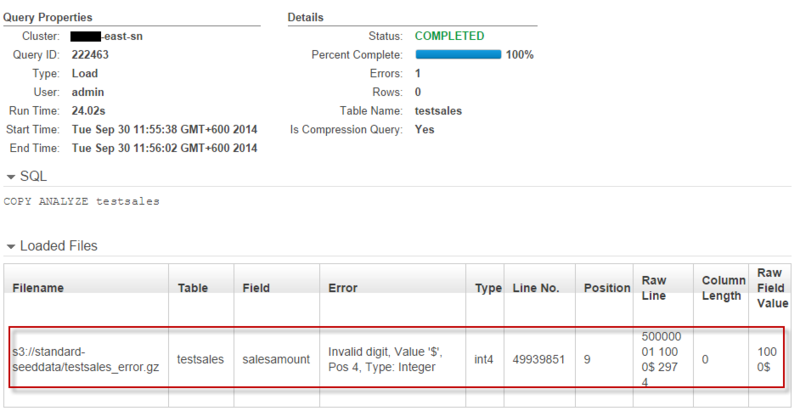 Figure 01: Table record count using catalog query. 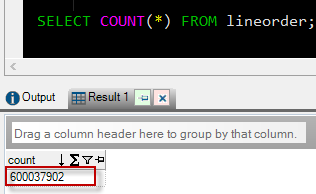 Figure 02: Getting row count by querying on the table itself. Alright, we are getting the identical result by executing both queries. Figure 03: 248900 rows are deleted. At this moment total records of the table will be 600037902-248900=599789002. Figure 04: Record count after deleting records. Figure 05: Catalog tables are not refreshed after deleting large number of rows. Oh!! 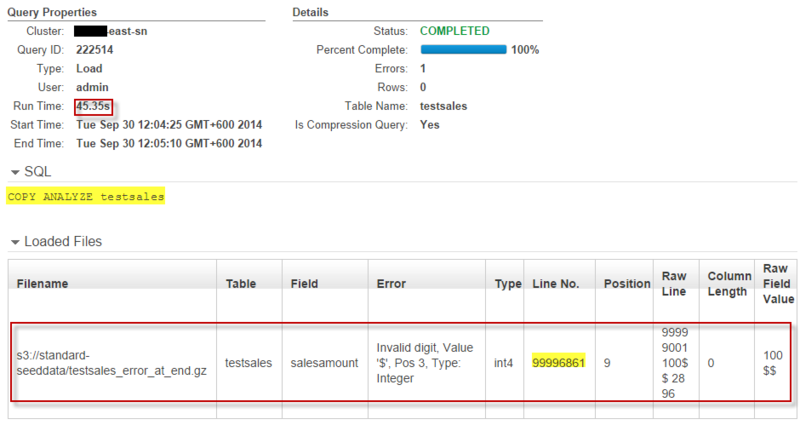 The records count we are getting by executing catalog query is 600037902!!! which was the initial records of the table (before deleting records). But total rows should be 599789002 as we have already deleted 248900 rows. That means catalog table’s metadata is not refreshed after the records are deleted from the table. This could be huge problem if you use catalog query in your application to get total row count of a table. Sometimes it is a common practice for database developers that they query the system tables (catalog tables) in order to get record count of relatively bigger tables instead of triggering SELECT COUNT(*) statement. Because querying on system table (catalog table) is much faster than querying on the actual table. But particularly in terms of Redshift this approach would be dangerous as specified earlier in this post!! Figure 06: Accurate record count after running VACUUM command. Now we are getting accurate result by executing catalog query as well. Finally, VACUUM command also reclaim storage space and resort rows according to the Sort Key defined in the table. It also a best practice to ANALYZE redshift table after deleting large number of rows to keep the table statistic up to date. Updated statistics ensures faster query execution. Hope this information will help you in your real life Redshift development. Note: VACUUM is a slower and resource intensive operation. Best practice is to execute it in an off peak time window. So if you really need immediate record count after a delete operation, better to use SELECT COUNT (*) instead of using catalog query. UPDATE: This issue has been fixed in Redshift now. 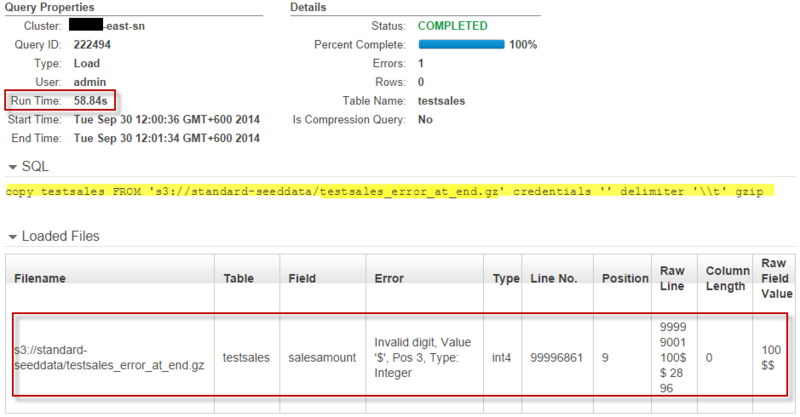 Amazon Redshift does not support table variable. For a quick testing, we sometimes do not want to store data in a real table rather we usually declare a table variable and complete our testing. This approach also saves our time from cleaning up the unused test tables and records. Redshift supports Common Table Expression and we can use it as temp table (still have limitation). Using WITH block (CTE) multiple logical tables can be generated combining arbitrary select statements for each logical expression. For more information about this visit WITH Clause in Redshift Developer Guide. In my recent project, while doing a quick test by generating multiple logical tables with some records, I noticed Interesting aggregate query result using WITH clause in Redshift. Let me show you in details. Figure 01: Incorrect query result. Figure 02: Correct Query result in SQL Server Management Studio. So really an interesting aggregate query result using WITH clause in Redshift! I don’t know why it happens, I will be grateful if anyone let me know the reason of such interesting query behavior. After executing the query I have found the expected result which is “120”. Finally, Redshift generates interesting aggregate query result using WITH clause with logical, non persisted rows. Bit it produces correct result using the rows reside in actual table on the disk. As a part of maintenance and releasing new features, “Redshift create drop table if exists” option is now available in the database after Oct 16, 2014. Previously, it was bit cumbersome to check the existence of a table prior to create or drop it. Based on the result of the above query, new tables are created or existing tables are dropped as per developer requirement. Amazon has realized this essential user need and addressed this issue in their most latest update. Table existence can be checked now along with CREATE TABLE or DROP table statements using new IF EXISTS keyword. The following statement creates a table if it does not exist. The query above will delete the table named “test” if this is present in the database.I hope this information will be helpful to you. 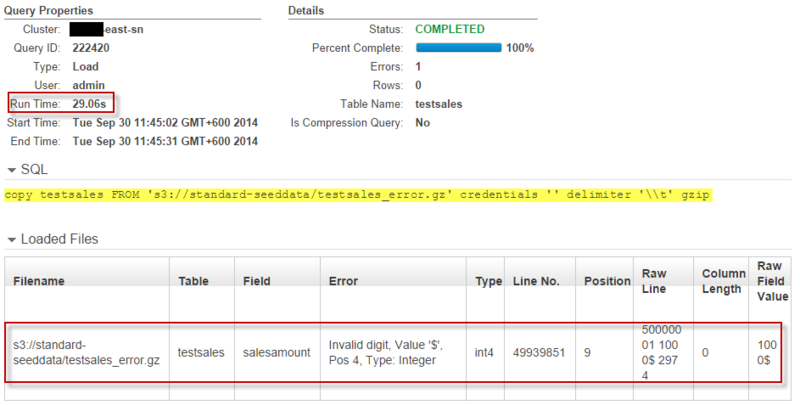 Amazon Redshift – Identity column SEED-STEP behavior with COPY command. In my previous post, I have demonstrated how Identity column behaves with different INSERT statements. In today’s post we will come to know about Identity column SEED-STEP behavior with COPY command. In other words, how identity values are generated when a file is loaded from S3 to Redshift a table that has an auto increment identity column. As we already know that an identity column does not guarantee the values in the column will be consecutive in all cases. It also stated in earlier post that most often we need consecutive or strict sequential ID numbers. In that scenario, we need to implement some additional actions in order to maintain sequence among the ID values to comply the business need. In today’s post we will see in which cases identity column SEED-STEP with COPY command does not generate consecutive identity values. We will also see some techniques to maintain the orders or the Identity values later in this post. Environment to test Identity column SEED-STEP behavior with COPY command. Two text files and a manifest file in the S3 bucket to populate the above table using COPY command. 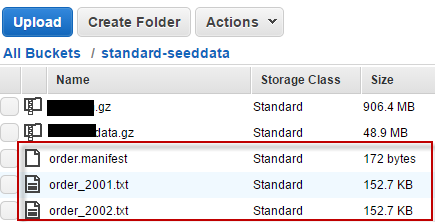 Figure 01: Test data and manifest files in S3. The “order_2001.txt” file contains sales records of 2001 year and order_2002 has sales data of year 2002. In order to facilitate multiple data files loading in parallel using a single COPY command, I have created a manifest file named “order.manifest”. All testing are done in a single dw2.large node cluster environment. Our environment is ready, now let us jump to me main test. Identity column SEED, STEP behavior with COPY command while uploading a single file. In order to see the identity value generated in the above table, I have executed the below COPY command to load order_2002.txt file into an empty custorders table. Let’s see the identity values generated by the COPY command by selecting top 100 records. Figure 02: Identity values generated with COPY command. From the above image we found the following discrepancies in Identity column SEED,-STEP behavior with COPY command. As we loaded the file into the empty custorders table, as per table identity definition declaration “linenumber INT IDENTITY(1,1)” the first value of linenumber column should be 1 then 2 then 3 and so on. But the first value is inserted surprisingly 4312. Furthermore, according to the identity STEP, the next row’s value should be increased by one step. So the value should be 4312+1=4313. But values are increased by 2 steps. Hence, in first row identity column “linenumber” value is 4312, in second row it is 4314 and third one is 4316 etc. Why identity starts from 4312 instead of 1? And the above command produces the blow identity values: Figure 03: Identity values generated with COPY with “COMPUPDATE OFF” parameter. Now it produces much better result right? In previous attempt, the identity value started from an arbitrary 4312, but this time, at least it starts from 1. But, still, the identity values are incremented by 2 steps which is supposed to be 1. We will discuss about this issue later, but now let me tell you the reason why “using ‘COMPUPDATE OFF’ parameters with COPY command” generates initial identity value = 4312 instead of 1 during the first attempt (see Figure02) (4312 is twice of the total records count). “COMPUPDATE” parameter in COPY command automatically decides the optimal compression encodings for each column of the target table based on ON|OFF settings. If COPY command is executed without “COMPUPDATE” option, COPY applies automatic compression on an empty target table. For this reason COPY command completes in two steps (passes). During first pass, identity values are incremented internally. In the second pass (step) it further increments the value while committing records to the target table. This could be reason why we did not get the initial identity value as per our expectation. Why identity value increments by 2 instead of 1? Figure 04: Identity values generated by COPY with manifest option. Splendid!! Identity column SEED-STEP behavior with COPY command is now as per our expectation. It generates initial value with 1 and the subsequent values are incremented by 1 as well. There is no missing, no gaps amongst identity values. The per slice identity allocation also clear to us. Executing the following query will make more sense regarding per slice records and identity value distributions. Finally, from the aforementioned test, we came to know loading files in parallel using COPY command with “COMPUPDATE OFF” option may generate expected identity values. It also comply with Identity column SEED-STEP behavior with COPY command. But in different scenario (multiple node cluster) Identity column SEED-STEP behavior with COPY command might be different. 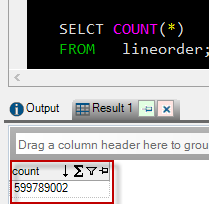 In that case, ROW_NUMBER window function can be used to generate sequential values. Another option could be to ask file provider (or client) to include line number in the file if this is a strict business need. Then the file can be loaded using COPY command with “EXPLICIT_IDS” parameter into an identity enabled redshift table. Amazon Redshift – Identity column SEED-STEP behavior with different INSERT statements. During table design auto increment column is one of the best choices among database developers. Most of the cases an auto increment identity column is considered as the primary key of the table. It is also widely used as a surrogate key of dimension tables in a typical data warehouse system. Identity column SEED-STEP are used to generate the sequential values in the table. An identity column takes the value of current seed incremented by the step when a row is inserted into a table. 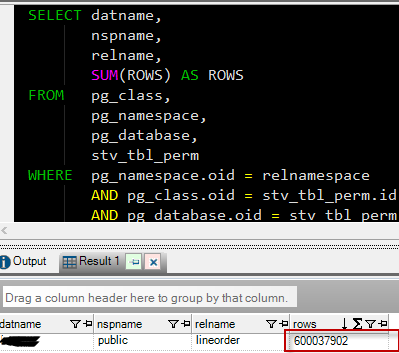 Identity column SEED, STEP can be used with CREATE TABLE statement in Amazon Redshift. A point to be noted that an identity column does not guarantee the values in the column will be consecutive in all cases. In real life, sometimes we need consecutive or strict sequential ID numbers. In that scenario, we need to adopt some additional measures in order to maintain sequence among the ID values to comply the business need. In today’s post we will see in which cases of INSERT statement identity column SEED-STEP does not generate consecutive identity values. We will also see some techniques to maintain the orders of the Identity values. Environment to test Identity column SEED-STEP behavior with different INSERT statements. Identity column SEED-STEP behavior in different INSERT statements. In my environment, the following approaches are used to test the identity column SEED, STEP behavior. Inserting records using INSERT INTO … followed by multiple SELECT statement combined using UNION ALL (PART-3). Figure 02: Identity column generates uninterrupted unique values. Figure 03:Identity column SEED-STEP behavior using multiple insert statements. From the above image we see, SQL script PART-1 and PART-2 honored identity column SEED, STEP default behavior (linenumber 1 to 6). But Inserting records using INSERT INTO … followed by multiple SELECT statement combined using UNION ALL (PART-3) does not. Possible reason of this issue could be the parallelism. Several months ago, I have combined records of more than 10 big tables using UNION ALL in order to make a PIVOT table in SQL SERVER. During query execution, I have noticed all of my CPU cores (1 socket, 4 cores, and 8 logical processors) were busy. To know more about that I conducted a Google search and found that optimizer might execute queries in parallel when multiple queries (branches) combined to a single SQL statement. We know Redshift is designed to facilitate huge parallel processing. 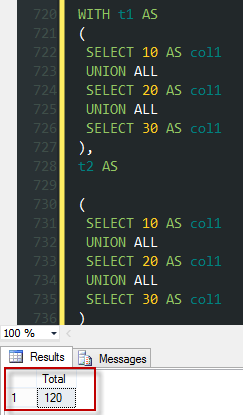 Although it is not documented anywhere, but I presume, Redshift attempts to insert each SQL statement of UNION ALL in parallel into each node slice. In order to ensure that there is no single point of conflict in assigning identity values to rows during parallel insertion, Redshift might maintain gaps while allocating identity value for each rows. This is only my thoughts based on previous experience. Please inform me if anyone has more concrete idea about this behavior. Finally, in this post we have had a look on Identity column SEED-STEP behavior in different insert statement and some possible ways to resolve this issue. In one of my subsequent posts I will try to demonstrate the Identity column SEED-STEP behavior when data files are uploaded using Redshift COPY command. Till then thanks lot to read this post with patient. Hope this post is informative to you. Amazon Redshift database is getting popular day by day specially for its super fast performance. During database development or administration everyone needs to create table either permanently or temporarily. Developers usually create tables using DDL like “CREATE TABLE” statement. But sometimes they need to create table quickly, without issuing the long, restricted DDL statements for different purposes. In this post I will try to show some techniques to create new tables in Redshift database. The above statement creates a new table named “adultpatients” by selecting records from patients table considering the where clause. When you want to create a table by copying columns names, data type, default constraint, NOT NULL attribute from an existing table, CREATE TABLE LIKE is the your best choice. The following statement creates a “product_backup” table by copying settings from the exiting “product” table. Please be noted, CREATE TABLE LIKE does not copy data to the newly created table as SELECT INTO and CREATE TABLE AS command does. Alike SELECT INTO, CREATE TABLE AS (CATS) statements also create a new table along with data. In order to create a table using CATS command, you need to provided a query. The newly created table is populated with data as per the query defined in the CREATE TABLE AS (CATS) statement. The statement below can can create a table using CATS syntax. The above query creates “product_backup” table based on the query provided inside the “AS” clause. So, these are the commonly used approaches to create tables in Redshift based on different scenario. Hope this information will be helpful. In my future posts, I have a plan to describe about the in depth functionality, similarities and unique behaviors of each CREATE TABLE approach.